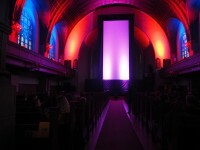 Vertical Cinema went to Melbourne for its Australian premiere at Melbourne International Film Festival (MIFF). 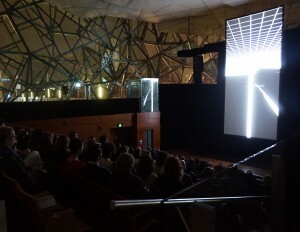 On the 14th of August, the Vertical Cinema films were screened twice for a full house at the spectacular Deakin Edge theatre. 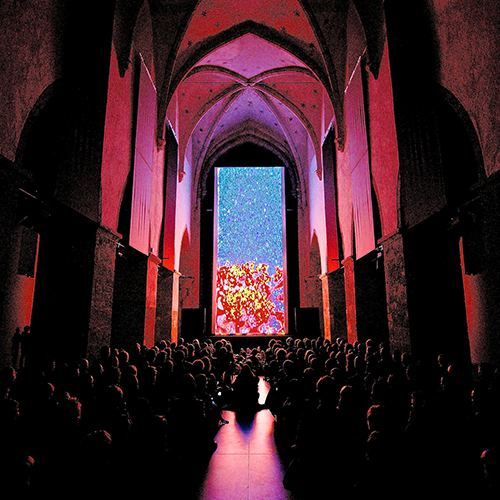 Vertical Cinema filmmaker Joost Rekveld was a guest of the festival. Together with technical producer Erwin van ’t Hart, he took part in the panel Talking Pictures – Cinema, Reimagined on the 11th of August. They were joined by University of Melbourne film and media lecturers Wendy Haslem and Scott McQuire and Breaching Transmissions cinema artist Sally Golding. They spoke about the future of cinema, the exploration of formats, VR, vertical screens, expanded cinema and Vertical Cinema. During his stay in Melbourne Joost Rekveld was interviewed for a number of publications, including, among others The Age, 4:3, Filmink and Spook Magazine. We would like to thank MIFF for inviting us for this Australian premiere and the Graduate School of Humanities & Social Sciences for co-hosting the Talking Pictures panel. Further we want to thank the City of Melbourne, Federation Square, Austrian Embassy Canberra, Graduate School of Humanities & Social Sciences, Embassy of the Netherlands in Australia for their very kind support.